Flipkart, the country’s largest e-commerce company, is back on the road to raise fresh capital months after being acquired by US retail giant Walmart, according to a report in Mint. Citing two people familiar with the development, the report said that Flipkart is currently in talks with strategic investors after a potential investment from search giant Google’s parent Alphabet Inc fell through earlier this year. Around the time that Walmart announced that it would acquire a 77% stake in Flipkart in May, it was widely reported that Google would also come on board with an investment in the ballpark of $1-2 billion. However, Flipkart’s senior management was reportedly opposed to such an investment over the possibility that Google could turn into a potential rival. The US-headquartered tech giant is now readying to launch its own e-commerce venture in India. Walmart’s $16-billion acquisition of Flipkart, which was formally completed in August, included equity funding of $2 billion. Fierce competition with rival Amazon, which has committed $5 billion to its India business, means that Flipkart will need to keep replenishing its war chest. The Mint report did not mention the names of the potential new investors. Email queries sent to Flipkart did not elicit a response. 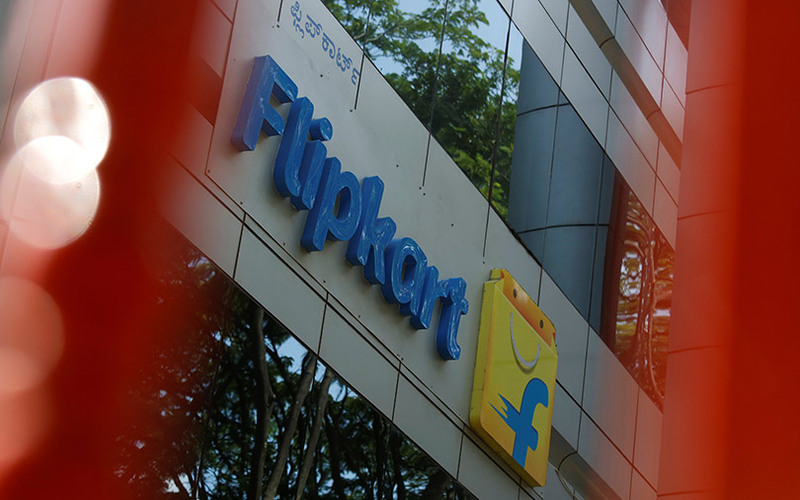 The report further stated that Walmart has pumped $175 million into PhonePe as part of a $500-million commitment to Flipkart’s digital payments arm. It added that PhonePe may look to raise up $1 billion in future from external investors. A PhonePe spokesperson confirmed the infusion but added that further capital requirements would be fulfilled by Walmart. Before this, PhonePe had received at least three fund infusions from its parent this year cumulatively worth nearly $190 million, according to filings with Registrar of Companies. PhonePe has been jostling with main rivals Paytm and Google Pay (formerly Tez) to get a lion's share of the digital wallet market. In August, the company claimed that it had overtaken both Paytm and Google Pay to emerge as the leader in Unified Payments Interface (UPI) transactions. As part of its efforts to strengthen its offline network as well as to simplify merchant billing, payments and inventory management systems, PhonePe acquired TigerGlobal-backed point of sale software-as-a-service platform Zopper for an undisclosed sum in July. Meanwhile, PhonePe plunged deeper into the red for the financial year ended March 2017 as costs climbed at a much faster rate than revenue. Standalone net loss expanded 32 times to Rs 129 crore for 2016-17 from Rs 4 crore the year before. Total expenditure surged 29 times to Rs 146 crore from Rs 5 crore. However, net sales showed a 16-fold growth to Rs 3.03 crore for 2016-17 from Rs 19 lakh the year before.